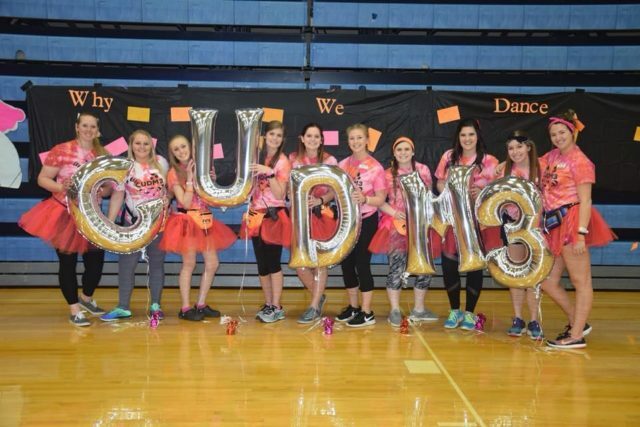 Clarke University’s third annual Dance Marathon was held on April 14, 2018, from 4 p.m. to midnight in the Robert & Ruth Kehl Center on the campus of Clarke University. “Dr. Seuss” was the theme this year because “a person’s a person no matter how small.” Dancers were on their feet for eight hours throughout the event to benefit children battling diseases, to celebrate the lives of those who have won their battles, and to honor those who gained their angel wings. Clarke University Dance Marathon is a student-run organization consisting of year-long fundraising by its participants. Funds raised assist in providing care and support for children and families being treated at the University of Iowa Stead Family Children’s Hospital. All fundraising efforts directly benefit the “Miracle Families” of the local Children’s Miracle Network Hospital. Funds raised go toward education, research, equipment, treatment, and other areas of hospital need. This helps to improve the quality of life for the children as well as their families, and it also provides opportunities for future research and treatments of illnesses. Clarke’s Dance Marathon had a goal to raise $20,000. This year, they raised $22,914.03. In addition to raising money, the dancers participated in activities including Zumba, bubble soccer, a lip sync battle, and Minute-To-Win-It games. The event had a bounce house, puppies, face painting, bone marrow testin, and various vendors, including Zoarc Fitness and Power Grafx.